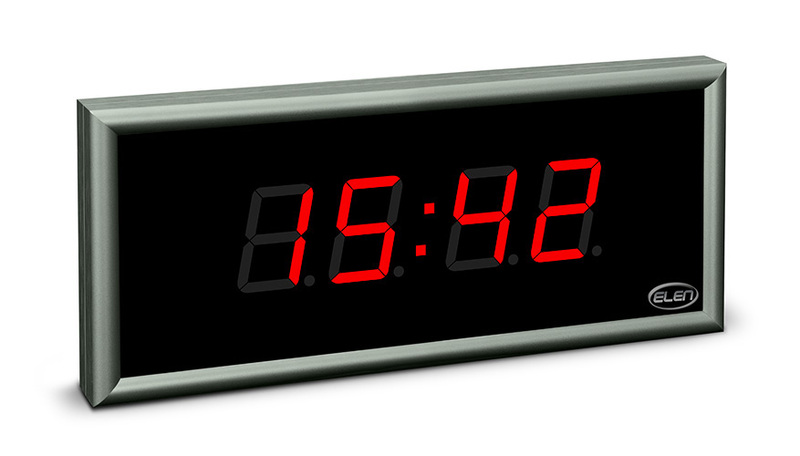 NDC series clocks are designed for displaying time, date and temperature in a numerical form. 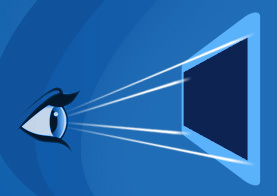 In their design, the maximum emphasis was put on the functional reliability and aesthetic appearance. NDC 57/...m and 100/...m models are suitable especially for the use in architecturally demanding bank interiors, public institutions, companies, etc. As a standard, they are delivered in platinum mat grey surface finish. They can be made on order also in other colours according to a customer's request. 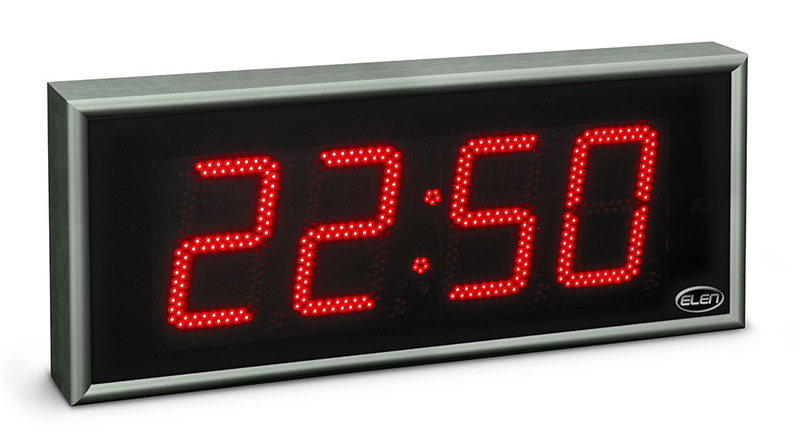 Superbright 7-segment LED displays are used as displaying elements. 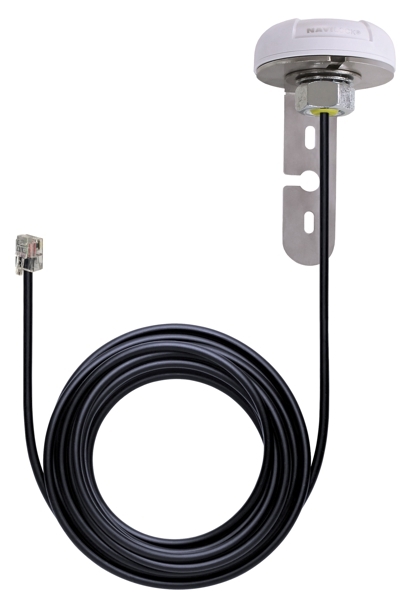 The larger NDC 160/...m, 212/...m types are designed for outdoor use or for industrial conditions. They have double-casing protection with an internal steel frame and an external aluminium one. These types of the NDC series use ultrabright red LEDs with elliptic radiation angle in the horizontal axis, which ensures their good visibility even in sunlight at a sufficient angle. The level of brightness of NDC series clocks is controlled manually or automatically according to the intensity of the surrounding light. 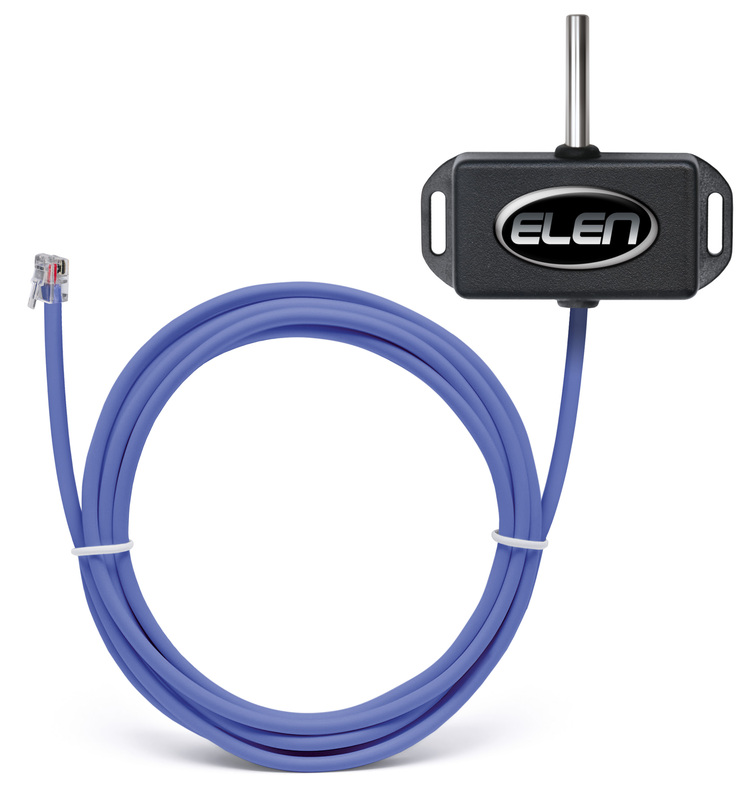 A local or remote thermal sensor and GPS receiver (or other time-synchronizing device) can be connected to all types of NDC...m clocks, which allows to achieve a long-term time precision of 1s per 300,000 years without the necessity to adjust time. The user can choose automatic switching from the summer to winter time and back (Daylight Saving Time) and utilize stopwatch and count-up/down features for exact time measurements. 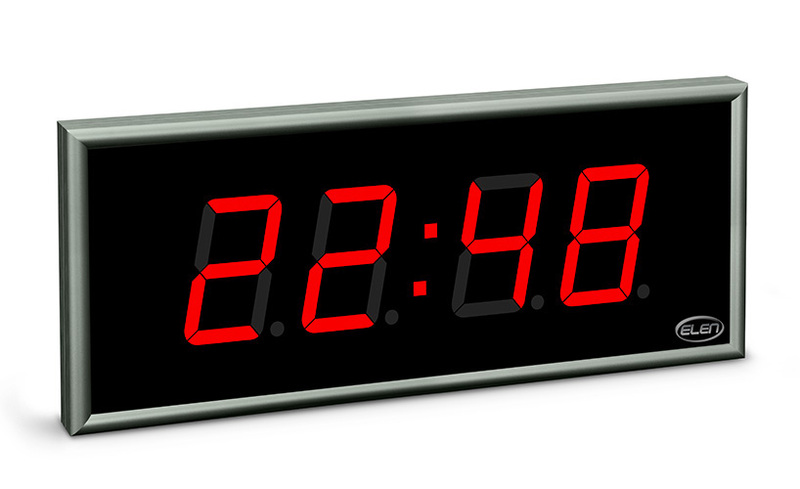 A switching contact of a built-in relay is available, activated upon the end of counting down/up or activated according to programmed time intervals, which allows to use the clock for time signalling at schools.The clocks are ready for building into unified time displaying systems - their synchronisation in a network is secured by their connection to the NDC-net (simple 2-wire connection through a standard RS 485 serial interface) and by the user configuration. 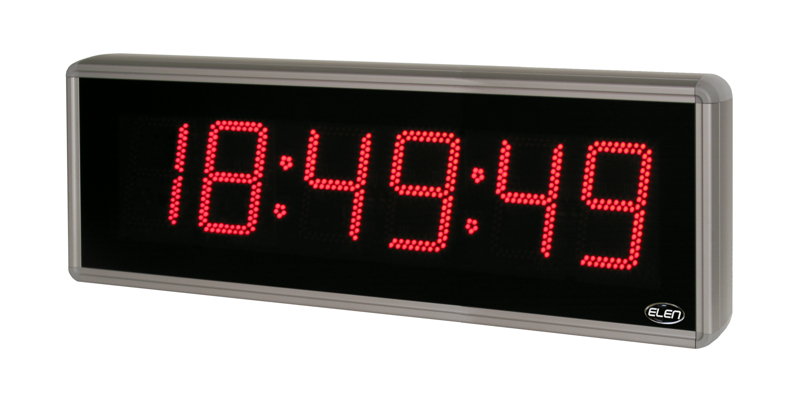 The clocks can be pre-programmed for displaying time, date, temperature, as a stopwatch, for counting-up/down and for alternate displaying the above readings and thus to be adjusted for displaying according to individual needs. Moreover, a time shift can be set, which allows to use the clocks in various time zones even with the synchronisation through the GPS. 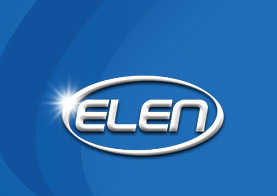 Wireless IR remote control (identical with a TVcontrol) allows to set the time, the date and programming of the clock. If external time synchronization is used (e.g. 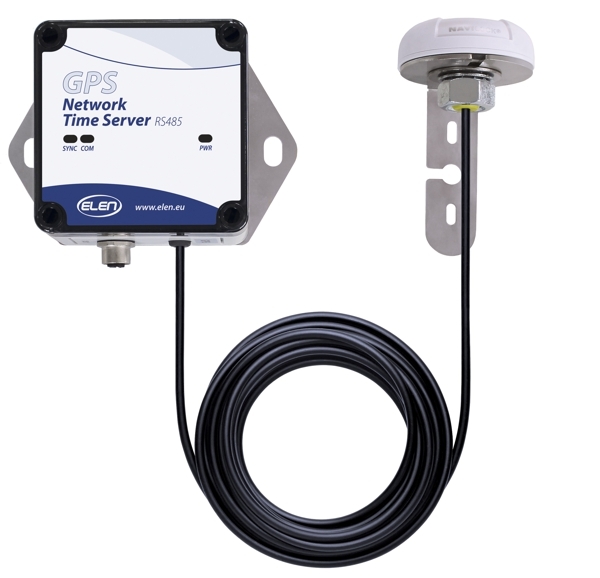 GPS receiver), the time and date are adjusted automatically. The clocks are designed for the installation on a wall, NDC 160/...m and 212/...m types are supplied with a tilting wall bracket as a standard. Clock programming and setting wirelessly by means of IR remote control up to 20m. 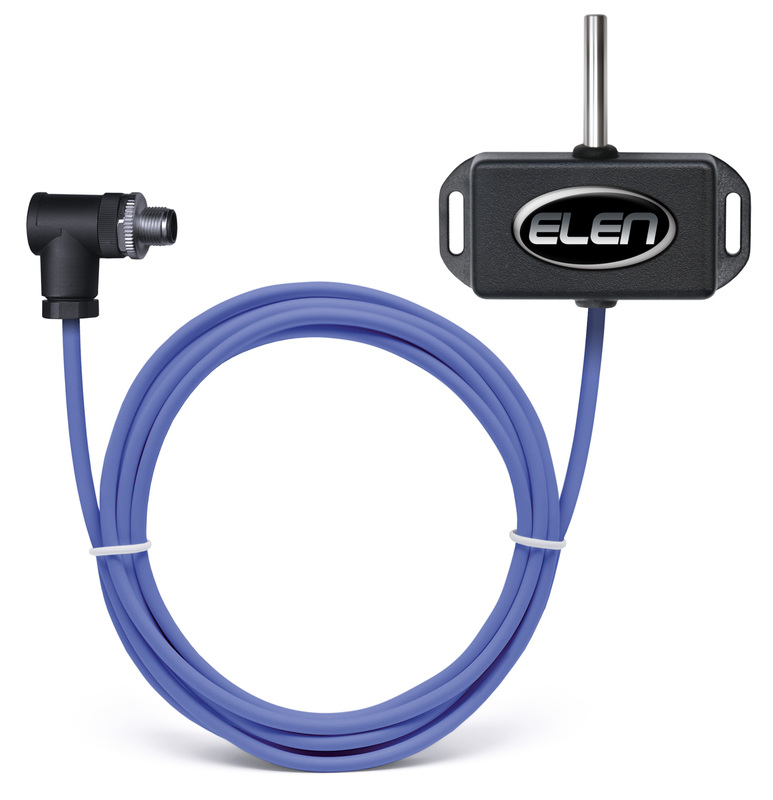 AC adapter 230Vhttps://www.elen.sk/12V=, 0.5A for NDC ... 12DC models. Digital clocks are used either as independent clocks or more frequently as a part of clock network controlled by GPS signal receiver, typical examples are airport halls, railway station halls and platforms, production halls, company buildings etc. 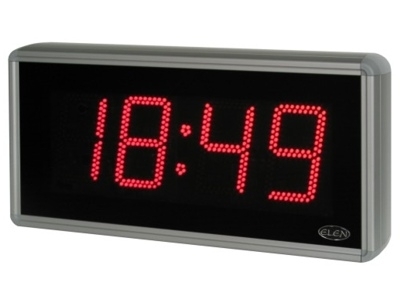 Digital clocks are also useful in time attendance systems. 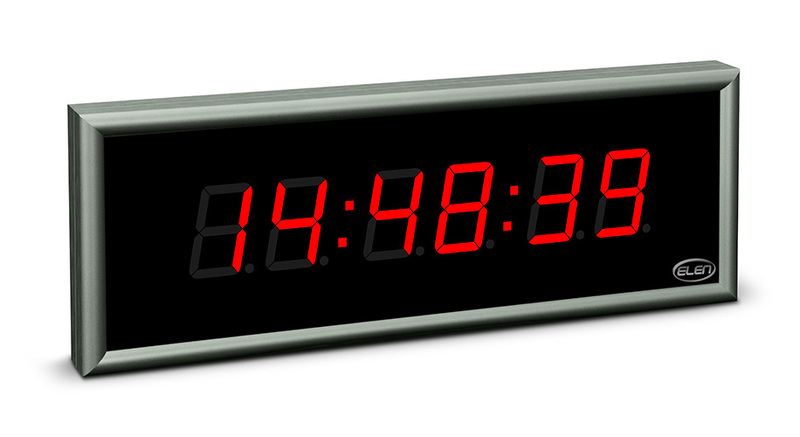 Countdown function is also very often used, e.g. to count the days/hours/minutes untill end of the year, to count remaining days until supermarket is open, to count remaing time to the next cleaning service (abroad), etc. Special custom application are health and safety boards (also called accident-free days counters), that count time since last lost time accident. Such board is an effective tool in the implementation of high profile safety awareness programmes for all Safety Managers in developing of effective Health and Safety policies. 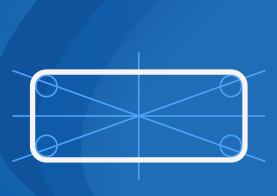 Company name and/or logo can be placed in the free area of the front panel. 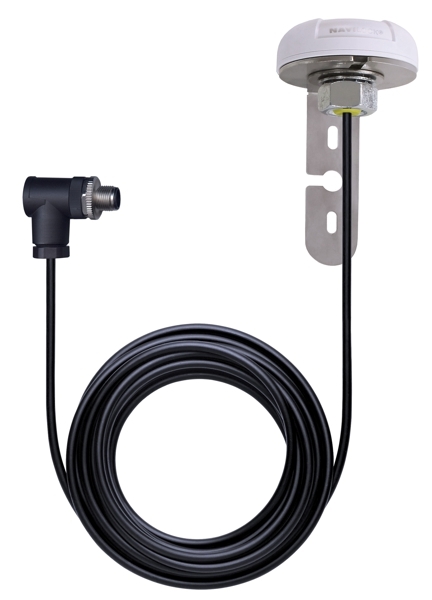 Accident-free days number can be combined with free text programmable LED line that allows to raise specific issues or provide general site information. 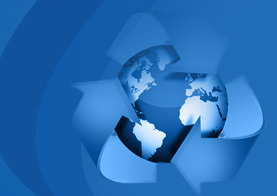 What to do with used devices?